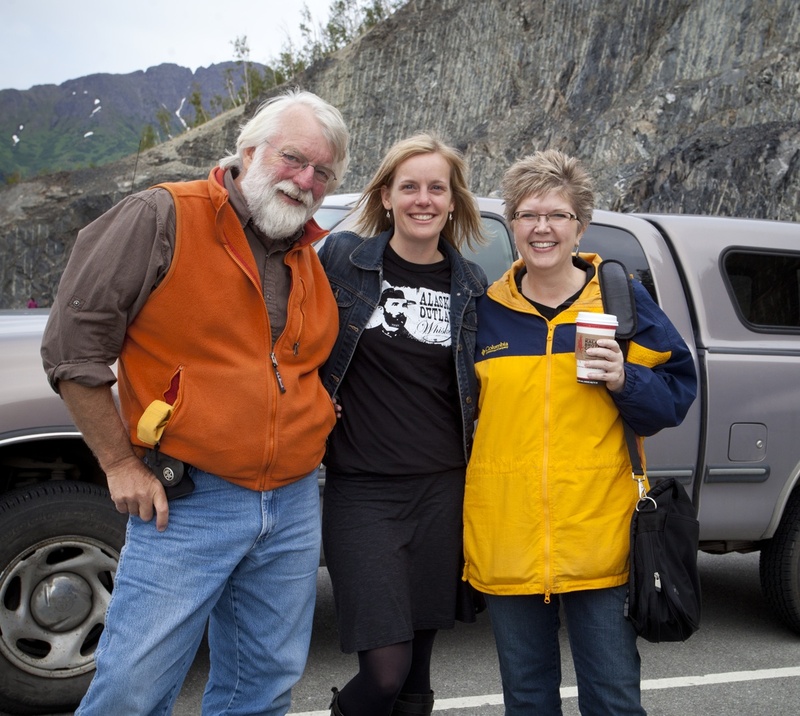 My only regret from our visit to Alaska is that we were unable to connect with alumnus Bob Chlupach (’71 fisheries and wildlife biology). 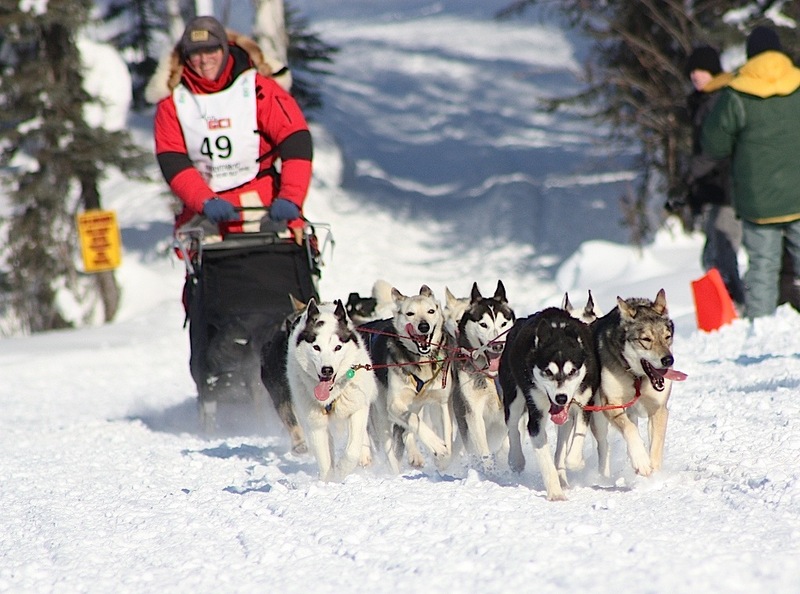 Bob has been competing in the famous Iditarod Trail Sled Dog Race since the 1970s. Jim and I were eagerly anticipating meeting Bob and his dogs at his home in Willow, Alaska, but he was called out of town at the last minute – we were so disappointed! Bob was born and raised in Mason City, Iowa. During the summers while he was attending Iowa State, he worked for the Nebraska Game and Parks Commission and then the Alaska Department of Fish and Game. After graduation, he worked for several seasons in southeastern Alaska before being hired on as a permanent fishery biologist. By the mid-1970s Bob had a sled dog team. He entered and completed his first Iditarod in 1977, subsequently entering and completing 11 Iditarods over five decades – including the most recent one in March 2012 (shown above). Bob is tentatively signed on to run the 2013 Iditarod – a brutal, 1,150-mile race — even though he has “a very young and totally unproven group of dogs.” He says, at his age, people tell him he’s an inspiration. “The race is always tough mentally and physically, but I really enjoy being miserable,” he jokes. 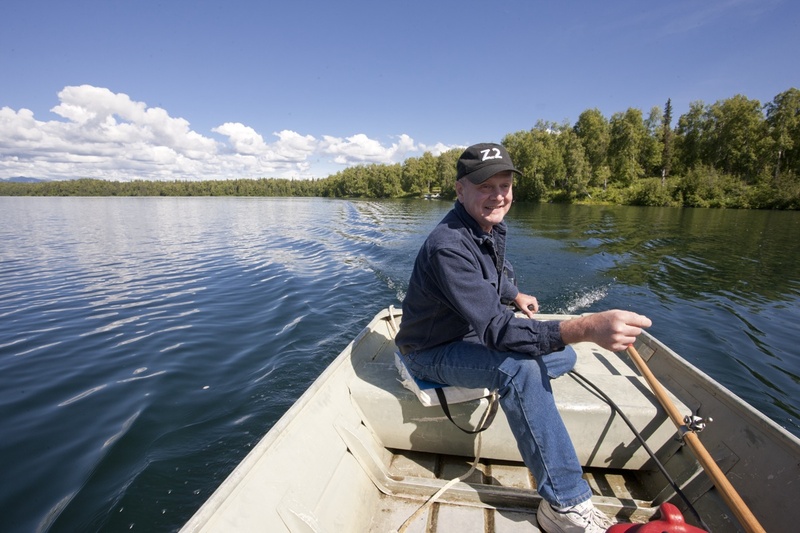 In addition to training for the Iditarod, Bob has worked as a professional sport-fishing guide. In an email to me, he offered a guidebook’s worth of advice for anyone traveling to Anchorage, including: Bike paths, maintained ski trails, Chugach Mountains “right out the back door,” Matanuska and Susitna valleys 45 minutes away, and the Kenai Peninsula nearby. “My brain feels really relaxed in Alaska,” he said. Thanks, Bob. I think you just did. “Grumpy” turned out to be Darrell Holmstrom, ’74 aerospace engineering. 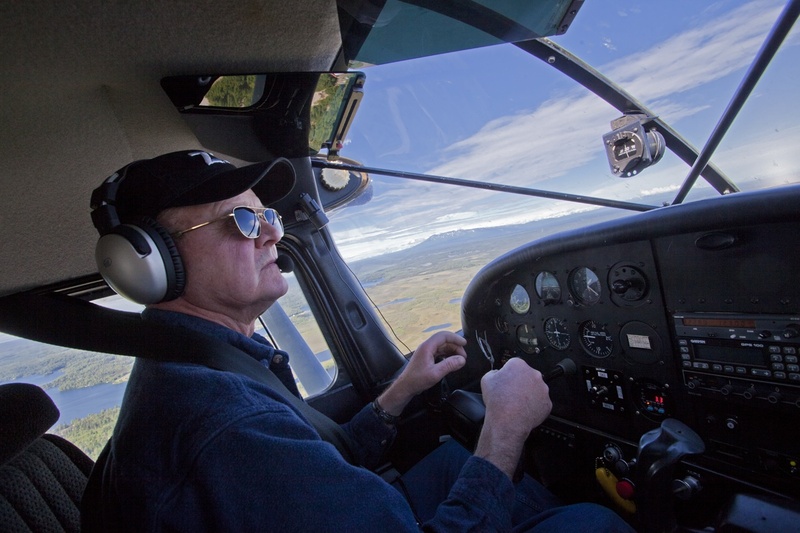 Darrell is a veteran commercial pilot for Federal Express who also happens to fly his own floatplane and two helicopters. 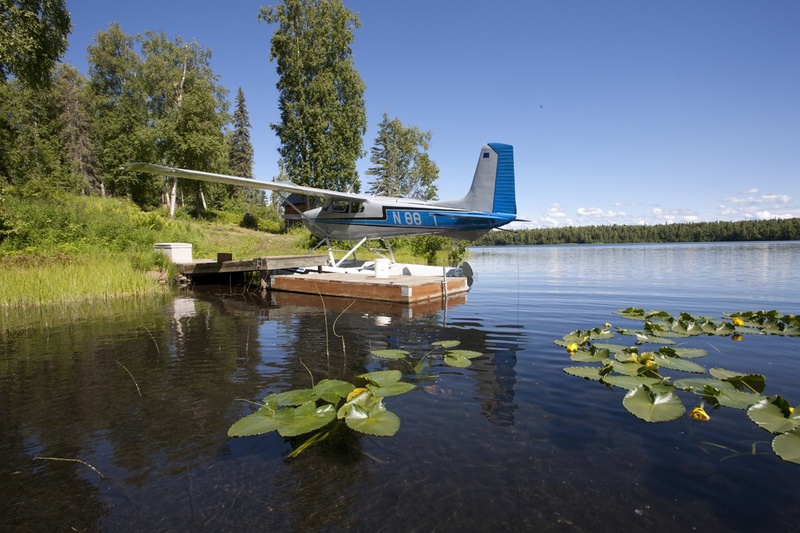 We met him July 6 at his floatplane in Eagle River, Alaska, not far from his home in Chugiak. Jim and I climb into the four-seat plane (no easy task; I require a push from behind) and off we go. Our first view is of Knik Arm at high tide, with the towns of Palmer and Wasilla off to our right. Soon we can see the town of Willow, the starting point for the Iditarod Trail Dog Sled Race. As we fly, Darrell points out the Iditarod Trail, which in summer is a river. In winter, Alaskans use the frozen river like a highway to travel by snowmobile. Next he shows us Mt. McKinley (also known as Denali), the highest mountain peak in North American with an elevation of 20,320 feet, which on this day is partially obscured by clouds. We see fishing lodges, lakes, a glacier, Mt. Susitna (“The Sleeping Lady”), rivers made from glacial silt. But no roads. I realize you don’t know what Alaska really looks like until you fly over it. I’m in the back seat; Jim is in the front with Darrell. I’m happy that I remembered to take Dramamine and wear my motion-sickness bracelet. But I’m not afraid. Where we do land is a lake near which he has a cabin. The day is sunny and warm. We extricate ourselves from the plane and walk up the hill to the cabin, passing by a few outbuildings. “One more building and I’ll have a compound,” Darrell says. We sit on his porch, swatting mosquitoes and talking about Alaska. He likes the Alaskan attitude. “It’s kind of like Texas: ‘Leave us alone. Don’t mess with us,’” he says. He likes to hunt and fish, restore projects “that people gave up on” (like the helicopters), and work on the cabin. “The trick is to get everything built before you get too old,” he says. Up here, he explains, a small airplane is “like an Alaskan pickup truck.” You need it to get where you’re going. You can haul stuff in it. The floats on Darrell’s plane can be removed during the winter and replaced with skis for snowy landings. The sun is so warm it’s almost hot. Darrell says that compared to Anchorage it gets warmer here on the lake, but it also gets colder here in the winter. 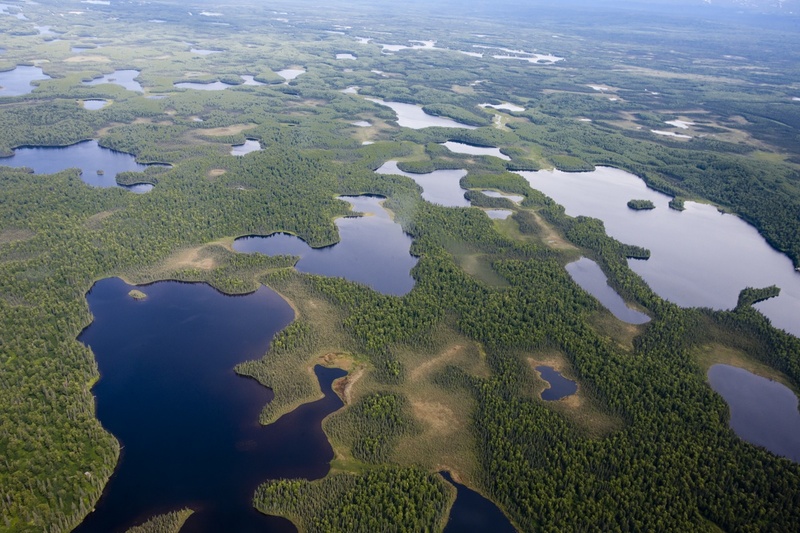 But it’s not as bad as Fairbanks, he says, which can drop to 40 or 50 degrees below zero in the winter. We leave Darrell’s sunny porch and take his small motorboat across the lake to visit one of his friends who is building a new cabin. It’s a marvelous place, and I can see myself living here all summer. Except I can’t swim. So maybe the lake is not the best place for me. One more quick visit to the cabin (indoor plumbing! a fully stocked kitchen!) before we board the plane and head back to Eagle River. I get to sit in the front seat this time. The views are amazing. Of the 722,000-ish residents of Alaska, Iowa State graduates currently account for 322 of them. More than 40 percent of Alaska’s population resides in Anchorage, the largest city in the state. 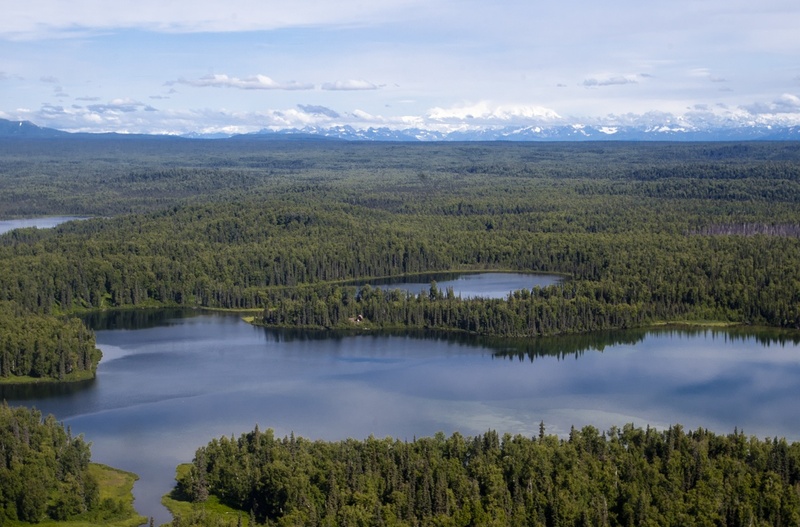 Alaska is the largest state by far (about 2.4 times the size of Texas, 4 times the size of California, and about a fifth the size of the entire “lower 48” combined) – but it’s the fourth-least populated and least densely populated of all 50 states. The capital of Alaska is Juneau, an area larger than both Rhode Island and Delaware – and almost as large as the two combined. Juneau is the only U.S. capital that cannot be accessed by road. In fact, much of Alaska cannot be accessed by the road system. So, in other words, Alaska is big. Vast, really. And huge chunks of it cannot be reached by car. This is my third visit to Alaska, and each time I go I am more certain that I’ve only just scratched the surface of this huge, wild, magnificent state. The next day we visited Darrell Holmstrom (’74 aerospace engineering), a commercial pilot and longtime Alaskan. He was nice enough to invite us for a spin in his float plane – but I’ll tell you more about that later. Let me just say that we saw Alaska from a completely different angle. 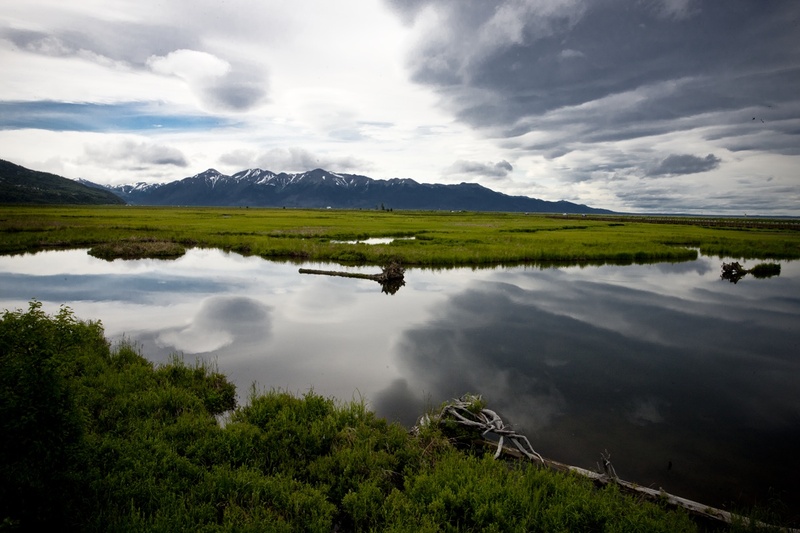 All our scouting led us to the Turnagain Arm, promoted as one of the most beautiful stretches of highway in America. Driving down this ever-curving roadway, you have the 3,000-foot mountains of Chugach State Park jutting straight up on your left and spectacular views of the fjord-like Turnagain Arm and more distant, snow-covered mountains on your right. This is where we photographed alumna Laura Tauke (’05 graphic design), a graphic designer who lives and works in Anchorage. We’ll be featuring Laura in our special VISIONS Across America issue in spring 2014. After our work was finished we managed to squeeze in a bit more sightseeing – we spotted eagles and sea lions and pink salmon (but no bears). We viewed fishing boats and mountain ranges and glaciers. We saw another moose and a wolf and mosquitoes the size of my fist. It never got completely dark the whole time we were there. In the evening, we just basked in the alpenglow. We’re now back in Iowa and the sky seems small. This is the word from a bicyclist Jim Heemstra and I have just met on the bike trail at Kincaid Park in Anchorage, AK. We’re there to scout a location for a photo we’re shooting Saturday of alumna Laura Tauke (’05 graphic design), an avid cyclist. We thank the biker for the heads up and continue on the trail. And then — there he is. 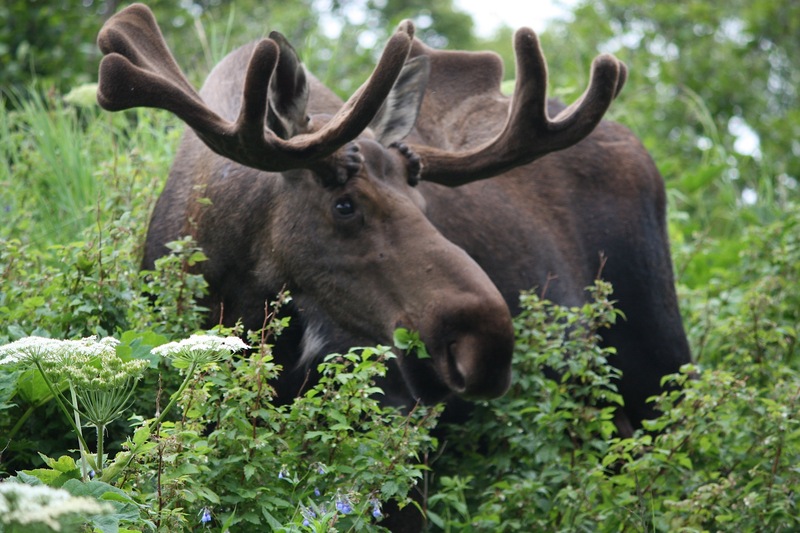 The biggest moose I ever saw — definitely the CLOSEST moose I ever saw — with the biggest rack of antlers. He’s just hanging out, munching away on the vegetation. We stare at him, transfixed. Taking a thousand pictures, of course. He raises his head, looking straight at us. Um, nice photo, but uh-oh. What have I read about moose? That they’re far more dangerous than bears. That you probably don’t want to piss them off…by taking photos? I’m not too clear on that part, but Jim and I look at each other with fear in our eyes and slowly walk away.